Inzamam-ul-Haq is a symbiosis of strength and subtlety. Power is no surprise, but sublime touch is remarkable for a man of his bulk. He loathes exercise and often looks a passenger in the field, but with a willow between his palms he is suddenly galvanised. He plays shots all round the wicket, is especially strong off his legs, and unleashes ferocious pulls and lofted drives. Imran Khan rates him the best batsman in the world against pace. Early on he is vulnerable playing across his front pad or groping outside off stump. He uses his feet well to the spinners, although this aggression can be his undoing. Inzi keeps a cool head in a crisis and has succeeded Javed Miandad as Pakistan's premier batsman, but his hapless running between wickets is legendary and most dangerous for his partners. There were no such problems against New Zealand at a boiling Lahore in 2001-02, when Inzamam belted 329, the second-highest Test score by a Pakistani and the tenth-highest by anyone. However, he was then dogged by poor form, scoring just 16 runs in Pakistan's ill-fated World Cup campaign in 2003. He was dropped from the team briefly, but then roared back to form, scoring a magnificent unbeaten 138 and guiding Pakistan to a thrilling one-wicket win against Bangladesh at Multan. He was rewarded with the captaincy of the team, and despite leading them to victory in the Test series in New Zealand, question-marks about his leadership qualities surfaced when Pakistan were beaten in both the Test series and the one-dayers against India. But the selectors persevered with him and this bore results when he took a team thin on bowling resources to India and drew the Test series with a rousing performance in the final Test, Inzamam's 100th. 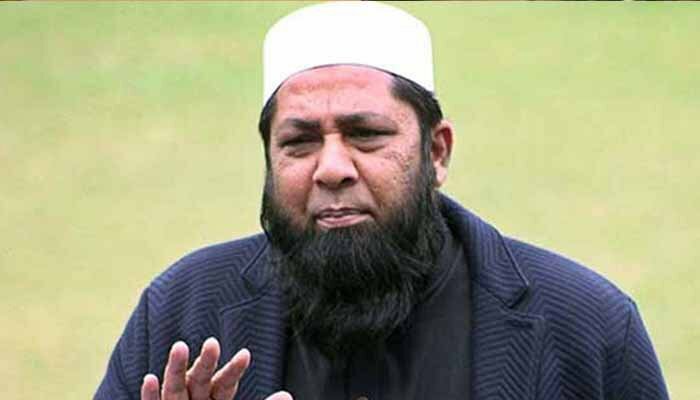 After scoring a magnificent 184, Inzamam led the team ast Find Inzamam-ul-Haq profile and stats of batting, bowling and fielding including latest updated news of Inzamam-ul-Haq, videos and images at Hamariweb.com. 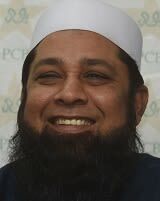 Also find detail Player profile and career statistics of Inzamam-ul-Haq of Pakistan. great bats man of world.I think PCB SHOULD MAKE THE MOST OF ADVANTAGE OF HIS BATTING TECHNIQUE AS A BATTING COACH. The record of Inzamam Ul Haq shows that he was also a great asset of Pakistan. I think PCB should make the most of advantage of his batting technique as a batting coach. The most greatest batsman which I ever see in Pakistan, the way he played an important inning against Bangladesh in test cricket and scored 188 Runs not out was the best inning of him. 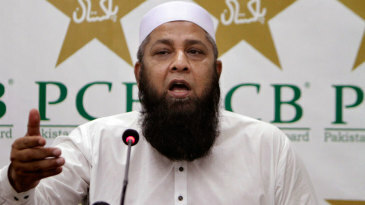 Inzamam ul haq is not the name of a player. This is the name of brighter side of pakistan cricket. He is an excellent Pakistani, a very good human being and a very good Muslim. Now he must be given key responsibilities for the revival of National cricket. Threre is no any batsman like this which i watch in batting, although his career was not much longer but he was a best batsman in the middle order. inzi your are king of cricket. no one can beat you. Inzamam-ul-Haq - Find Inzamam-ul-Haq of Pakistan Cricket Team complete player profile, number of matches, runs score, wickets & catches, Statistics, Records, Inzamam-ul-Haq Latest News, Inzamam-ul-Haq Videos, Inzamam-ul-Haq Photos, and other Inzamam-ul-Haq Cricket Team players.